I hope all of you had a wonderful Holiday — no matter which holiday you celebrate, I hope you had fun, and smiled a ton. For many people this can be a hard time because many people don’t have loved ones or have lost someone during the holidays, so it isn’t as cheerful, but I hope no matter the case, you were able to relax and slow down — and I hope if healing is what you need, that you will find the healing you need and continue to be strong because you are worth it. I lost my grandpa in December — so for me, it does happen to be harder at times when I think of him during this holiday — and how much I miss him and love him. I also lost an aunt of mine many years back due to homicide (hit and run) during the holidays (I believe close to Christmas or on Christmas day) so again, I know the pain of losing someone on holidays such as these and not feeling the most cheerful, but still I stuck it out because I am blessed that I was able to spend time with my siblings & some of my family members (including my mom) & see another year in good health. It’s hard to smile or be happy with negativity attached to a holiday; but something that is worth noting and being happy about is knowing you made it another year. We aren’t guaranteed another year, day or moment, each time we see another Christmas, is like saying we survived the world, the chaos, the negativity and the bad — we survived life threatening disease, we survived accidents, we survived a natural disaster, etc, whatever it may be, we made it another year to see this day & not everyone can say that. Doesn’t mean we will make it through this next year, but it means we lived long enough to see Christmas 2018 & that’s a big deal. To keep this light and fluffy, I have some fun questions you can take part in answering if you like; otherwise, feel free to leave comments, follow, share, and like the page. Do you buy yourself gifts for Christmas? What is a holiday tradition your family takes part in? 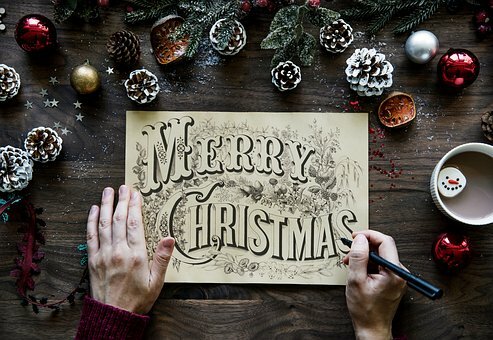 What makes Christmas special to you / if not Christmas, what makes your holiday special to you? Do you believe Christmas is becoming more and more commercialized? Growing up, what were some toys, etc that you wanted for Christmas? Did it snow on Christmas where you are from? Are you a fan of eggnog? Name a gift you received this year? Does your family cook for the holidays or do you prefer to dine in someplace? Posted on December 26, 2018 December 26, 2018 Categories Misc Blog PostTags 2018, cheer, Christmas, Christmas Eve, cooking, family, Food :), gifts, Happy Holidays, holidays, Merry Christmas, Santa3 Comments on Holiday Cheer! Yes, I did cry in this video and yes I was trying to hold the tears back but something came over me. While the thought of me crying on video is embarrassing and I hope that no one makes jokes at it, I am not ashamed of it because it was how I felt about the situation and because life is serious. This probably won’t happen often where I am shedding tears on camera, but when it does, trust and believe I have a good reason to. I could have cut the part out where I am crying and sobbing, but I am a real person with real emotions and I am not going to hide them from people in order to look “perfect” on screen. Hopefully all of you will understand, if not. oh well.